Pastor Mark was born in Minneapolis, and baptized in Hazel Run, Minnesota. He has lived most of his life on the East Coast in Maryland, New Jersey, Massachusetts, Pennsylvania, and Upstate New York. Pastor Mark was ordained on June 21, 1992. 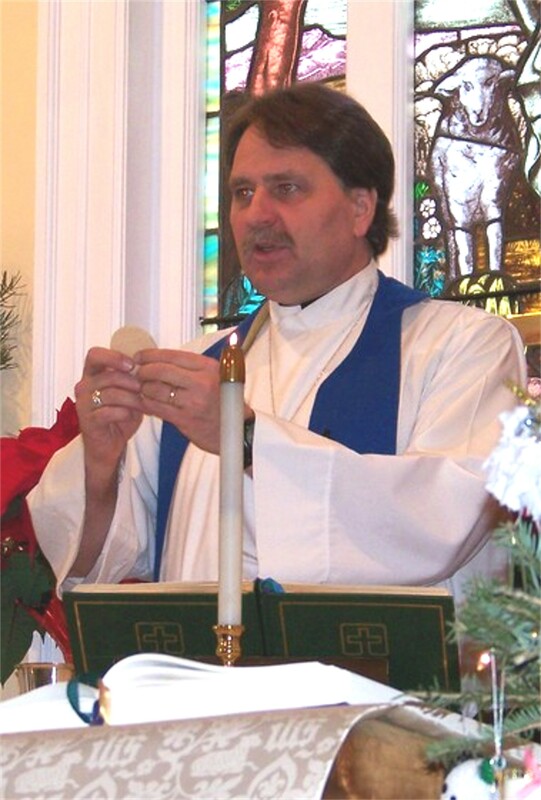 Since June 1996, he has had the privilege of serving as pastor of St. Paul's Lutheran Church of Wurtemburg located off of highway 9-G in Rhinebeck, New York. St. Paul’s (Wurtemburg), an active and growing congregation, was founded in 1760. St. Paul's (Wurtemburg) is a member of the Evangelical Lutheran Conference and Ministerium. The ELCM is a centrist Lutheran denomination [see www.elcm.org]. "I have had the privilege of serving as Pastor of St. Paul's Lutheran Church of Wurtemburg, Rhinebeck, New York for the past 16 years. And, I have lived in the historic 1870 Wurtemburg Parsonage since January 1, 2000. During this time, I have walked the cemeteries and studied the headstones. I have spent time alone in the church reading memorial plaques and culling through the well-ordered archives. I have spent many happy hours rummaging through the crevasses, corners, and cupboards of the old church seeking bits of information. I have also spent time listening to the stories and the recollections of lifelong members, as well as community leaders and local historians living in the Rhinebeck, New York area. During this time, I have sought "Verstehen," a deeper understanding of this special place, and of the people who lived, worshipped, and died here. 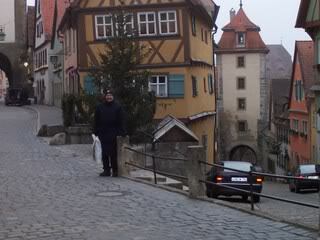 Pastor Mark was part of the church group that went to experience "Lutherland" back in 2004. St. Paul's has a rich Palatine history and this trip added wonderful knowledge to Pastor's understanding of that. 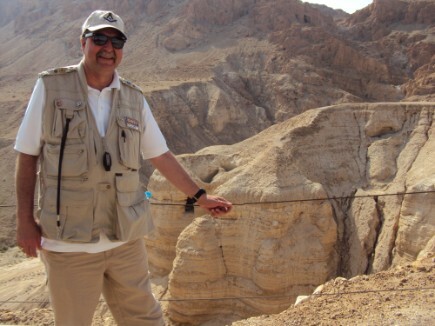 Pastor Mark had the life-altering experience of going to Israel in the Winter of 2010. He gained in spiritual knowledge that you can only get by actually being there, and is anxious to share his experience with all! July 1-10, 2011 Pastor Mark visited Chennai [Madras], India on a preaching and teaching tour. Chennai is the fifth largest city in India. It is about same size as New York City. According to strong Church tradition, Madras was visited by St. Thomas nearly 2,000 years ago. One of the highlights the trip was visiting an orphanage run by the Anglican Church of India. Church Growth and Evangelism; Business Ethics; Austrian Economics; Management; The Holy Bible; Comparative Religion; Philosophy of Religion; Western Civilization; American History; and Geography. 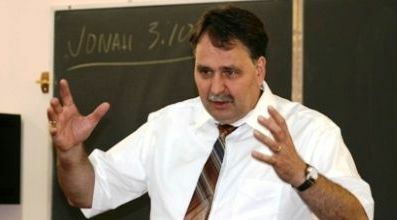 Reflecting his interdisciplinary background and interests, Pastor Mark teaches a wide variety of classes including; Economics of Social Issues; Macroeconomics; Microeconomics; Global Business and Society; Economic Geography; Physical Geography; Business Ethics; Marketing; Introduction to Business Management; Organizational Management and Behavior; Leadership; Evangelism and Church Growth; Public Presentations; Interpersonal Communications; Management of Non-Profit Originations; World Views and Values; Introduction to Biblical Studies; New Testament Survey; and Religion and Economics. Pastor Mark has many interests, including European travel, stamp collecting, classical music and Freemasonry. He and his wife, Linda, have three daughters and seven grandchildren! D.D., 2011, The Anglican Church of India “in recognition of his biblical insight and the ministry of teaching the Anglicans and their wider evangelical Indian Christian communities around the world beside rendering extraordinary and meritorious services in the theological field.” This degree was awarded while on a teaching and lecture tour in Chennai, India. Holy Land Pilgrim: February 22-March 4, 2010.